Neil Thomas is becoming quite a prolific wargames author these days. The subtitle to his latest offering is 'Practical Tabletop Battles For Those With Limited Time And Space'. Sold, then. I think most wargamers these days (and probably since time immemorial) have had limited time and space. This was definitely a book for me. I took a photo because the cover you see on Amazon isn't the cover you receive. I suppose most gamers will have their own thoughts about this periodisation. My initial thoughts were that the Battle of Hastings appeared to have disappeared from history, and that the Second World War section should have started in 1936 with the Spanish Civil War. The latter opinion was confirmed when I read the rules in detail - Machine Age Wargaming is really WW1 (and doesn't include tanks). Each period receives three pages of explanation of both the period and the various rules rationalisations, then a set of rules which take up around two and a half pages. After the rules there is a section of 30 scenarios followed by short (and I mean short) sections on campaigns and solo wargaming. The rules for each period have essentially the same structure: Neil forms his 'armies' (which have a maximum of 6 units) from 4 troop types, which vary from period to period, and the rules for each period are basically tweaked from those for other periods to reflect the flavour of each epoch. To say the rules are simple is a gross understatement - they are brutally simple, not to say Extremely Basic. My reading brought me to the conclusion that Neil had been very clever in picking out some essential facets of each period, and making adaptions to the various sets to bring these out. The book does indeed bear the evidence of a very analytical and disciplined mind setting out to produce a very specific product - games that can be played in a maximum of one hour on a 3' x 3' table. I did note a few downsides before I had played any test games. The Wargame Campaign section (2 pages) is really nothing of the sort - even calling it a 'tournament' section would be extravagant. Neil simply suggests you might like to play the best of three games (or five if you have the time), and might like to link them by, for example, allowing the winner of the previous game to pick his preferred side in the next game. The Solo Wargaming section (a little under two pages) is a bit better, but not much. Providing thirty scenarios must have been a real effort, which is much appreciated, but they are let down by maps which are frankly a bit sad. They bear the unmistakable stamp of maps produced by someone in a rush using Microsoft Word. Black and white is fine, but in this day and age something a little more inspiring and imaginative (or at least a bit less amateurish) is to be expected. And despite the emphasis on using 3' x 3' tables, each map has unaccountably been squashed so it is actually a rectangle. In my opinion, Pen & Sword must bear the blame here - as a well-established military publisher they should have made sure a decent standard was achieved. I should also have paid more attention to one final point before I set up some test games. In his introduction Neil makes the point that complex rules don't necessarily provide realism (a fair point), but that 'simplicity is at least guaranteed to produce enjoyment'. This is not true, as I was about to find out. I played out five solo test games, two in the Seven Years War period (i.e. Horse and Musket, troop types infantry, skirmishers, artillery and cavalry) and three in WW2 (troop types infantry, mortars, anti-tank guns and tanks). I chose one of Neil's scenarios at random for each game. The rules do have the advantage that anyone with a modest collection in any scale for a particular period will probably be able to get forces together to play these rules. For me, trying them out only meant another tenner spent on acquiring a 3' x 3' square of 12mm MDF. The SYW games were OK. Fair enough, these were only solo test games so I didn't expect nail biting entertainment. But I did get the feeling that the games, which are supposed to run to 15 moves if using the scenarios, started to run out of steam after 6 or 7 moves, as units tend to be destroyed quite quickly. Still, I thought, an uncomplicated evening of 'the best of three' with a live opponent would be worth trying. Then I moved on to WW2. Frankly, the resulting games were dull exercises in die rolling, where the winner was usually obvious halfway through the game, or else so many units were destroyed that the final moves became pointless fight outs between lone units, usually a mortar unit on each side as these tend to be the last to fall. Never mind an hour: the games I played were essentially over in 20 minutes. As an example of how the game mechanics failed, I played a scenario based on a surprise flank attack. But as all units in the WW2 section have a 360° field of fire, and there is no disadvantage for being fired on in flank, the defenders didn't need to re-deploy or manoeuvre at all against the flank threat. It was back to a die rolling exercise again. Maybe it's just the case that these rules work better for the earlier periods. I also found that the period feel introduced by the tweaks to the rules tends to be cancelled out by the common basis that all the rules share. Setting out my WW2 infantry units and anti-tank guns on a hill, it felt like I could just as easily have been setting out some SYW infantry battalions and smooth bore artillery. 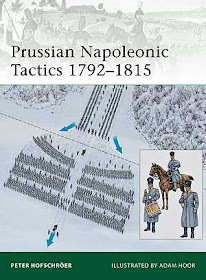 I very much wanted to like this book, but I learnt that most wargames rules have a certain level of complication for good reason - they provide the required period feel, and also provide games that are interesting to play because you have to think about detailed tactics, as well as simply having a number of things to constantly bear in mind if you are to be successful. For my taste, Neil has taken simplification several steps too far, and has conclusively thrown the baby out with the bathwater. To be brutal, I would say the rules are just rather boring to play. I will also say that I have encountered 'one side of A4' rule sets for periods including WW2 which gave much more subtle and interesting games than this book provides. If you have ancient or medieval armies, DBA is a far better option for a quick game, with much more play interest. However, one area the book might be of value in is as a starting point to get young kids into wargaming. They will certainly enjoy the no-nonsense simplicity. There is perhaps one further point to make. The rules in the book are obviously sitting ducks for those keen to make their own amendments and additions, and Neil indicates that this is fine by him. In the past I might have already been busy working out 'improvements' so that the rules worked better for me. But these days I tend to think that, having paid out for a rulebook, I want to be able to use it more or less as written. Spending time amending and altering is messy and frustrating. And I also want to feel that I am giving the author the chance to convince me about his ideas - I've bought the rules, so I should give them a chance to work on their own terms. I therefore won't be spending time making Neil's book work for me. His approach doesn't suit me, so I will leave it at that. I should add that I do not regret buying this book. Reading it and playing the rules therein has helped me clarify in my own mind what makes wargaming intellectually satisfying. And those three page sections written for each period which give a potted explanation of how warfare worked during that time, and how Neil proposes to reflect this, made me think about my own assumptions for the periods I play. Despite the maps, those thirty scenarios will probably spark some game ideas in the years ahead. A good feature of them is that Neil notes which real battle or classic wargames scenario has inspired them. Despite the mostly kind reviews on Amazon, I doubt these rules will catch on. But the book was worth writing, because I feel Neil has explored the limits of rule writing for miniature wargames with a brash originality. Even if I find the results disappointing, the attempt was worth making. Your experience and conclusions are just what I imagined my own would be after reading some one else's review before testing. Probably because I've had the experience of stripping down my own rules far enough to lose the fun and challenge. Thanks for the review, but I think i'll pass on this one. For me, wargaming is not about just moving models and rolling the dice, but about having some king of challenge to get things going. Otherwise you could just play Yahtzee, for the sake of rolling dice. In my eyes, rules should be complex (not complicated) to match exactly one particular period (or style of gaming). Warlord Games' series of Hail Caesar, Plack Powder and Pike 'n Shot is another example: the rules kind of fit to everything but suit nothing really. Thanks for commenting Thomas. I'm coming around to your view increasingly recently. A strong period-specific flavour is needed for rules to tempt me. It sounds, from this review, that in attempting to reduce the 'breadth' (i.e. complication) of war games rule sets, the author has made the game too shallow as well. As a sometime player of chess, I know something of the dichotomy of depth vs breadth. Chess is a very 'narrow' game by war games standards - you could learn the rules in half an hour. Less. But it is a very deep game. The simple rules and game design underlies a whole complexity of strategic and tactical possibilities. In my view, if war games can be made 'de-complicated' whilst retaining its depth, that is a worthwhile aim. And that has to include 'period feel'. Or, if we are to accept there are only three periods, then the rules should have sun-period feel. They ought also I think have a geographical feel. I have long felt that the major downside to the DBM and DBR games is that lack. Thanks for the detailed review Keith. Your feedback is most welcome and ties in with other reviews that I've read. I had wondered whether to buy these or not, but I will give them a miss. Archduke - thanks for the interesting comments. Narrow but deep was achieved to a certain extent by DBA, but mostly I think the nature of wargaming is that a good deal of breadth is needed to give us the depth we want. Take a much-lauded current set like Chain of Command - it's not complicated in the old sense of massive tables and long lists of modifiers, but it is still a fairly complex game which takes a while to learn. Steve, probably a wise decision, knowing the kind of games you like. If you dreamed up a small BKC scenario with a maximum of 6 units a side on a 3' x 3' table, you could have a much better game which would probably last an hour at most. I found this post while researching this book. Another blogger mentioned there were some scenarios, did you have any thoughts on them, regardless of the rule set? Hi Stephen. A number of people who have reviewed the rules have mentioned that the scenarios are a valuable part of the book. They are basic, but could be a useful source of ideas for developing one's own games. Not sure if they sell the book by themselves, though.